Dena Bank plunged 20% to Rs 14.40 and Vijaya Bank slipped 7% to Rs 47.25, while Bank Baroda was up 3% at Rs 123 on the BSE in intra-day trade. Shares of Vijaya Bank and Dena Bank have fallen by up to 20% on the BSE in early morning trade on Thursday following an unfavorable share-swap ratio on their merger with Bank of Baroda. Dena Bank has plunged 20% to Rs 14.40 on the BSE. The stock was trading close to its 52-week low of Rs 13.75 touched on July 16, 2018, in intra-day trade. A combined 5.95 million equity shares changed hands on the counter on the BSE and NSE till 09:21 am. Vijaya Bank slipped 7% to Rs 47.25 in intra-day trade so far. The stock of Bank of Baroda however, was up 3% at Rs 123 on the BSE. In comparison, the S&P BSE Sensex was down 0.24% at 35,806 points. The Union Cabinet on Wednesday gave its nod to the proposed merger of Vijaya Bank and Dena Bank with Bank of Baroda. Based on Wednesday’s closing prices, the share exchange ratio seems to be in favour of Bank of Baroda. For Dena Bank, the ratio is at a sharp 27% discount, and it is a 6% discount for Vijaya Bank. “The swap ratios of 1:9.1 for Bank of Baroda: Dena Bank and 1:2.5 for Bank of Baroda: Vijaya Bank are marginally in favor of Bank of Baroda. This implies an equity dilution of 22% on the merged entity basis; with reasonable valuations for smaller banks imbibed in the process of merger, FY19BV of Bank of Baroda marginally increases,” analysts at Antique Stock Broking said. 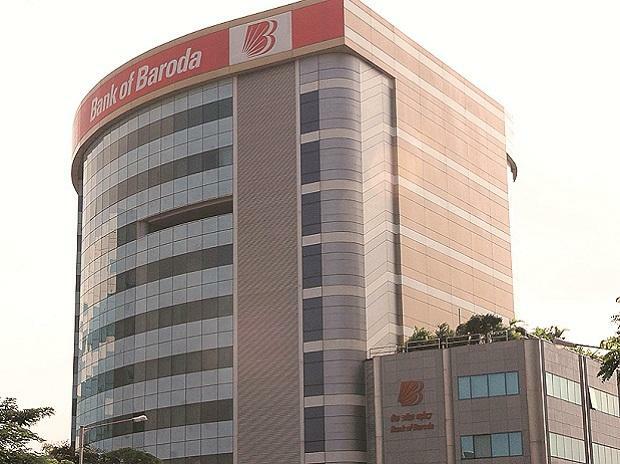 “We see the merger as largely neutral for Bank of Baroda from a medium-term perspective and, on pro-forma merged basis; we do not see any significant deterioration in the financials. Post announcement of merger, Bank of Baroda has underperformed Bank Nifty by around 15% as integration of state-owned bank is not an easy task and could delay the RoE normalization. Now with overhang of merger and swap ratio over, integration and long-term leadership path would be keenly watched,” the brokerage firm said in company update with ‘buy’ rating on Bank of Baroda with a target price of Rs 145 on a reasonable valuation and strong fundamentals on a standalone basis.